Also front and center at this year's event: Those Disney theme parks, opening in just a few weeks. It’s been two years since Star Wars Celebration, billed as the “ultimate fan experience,” hit Orlando; now, the event arrives in Chicago April 11 – 15, just in time for the Skywalker Saga’s final film hurrah. The event has grown way beyond its roots: Back in April 1999, when “The Phantom Menace” was about to become the first “Star Wars” film to hit theaters in 16 years, Lucasfilm launched Star Wars Celebration to stoke fan fires. With over 20,000 attendees at that first event, the fan-facing convention was an immediate hit — but the popular event came and went, depending on what was then a mighty thin “Star Wars” release schedule. That all changed in 2012, when Disney purchased Lucasfilm and set the stage for the continued massive expansion of the franchise. As the “Star Wars” universe grows — thanks to the relaunched Skywalker Saga, at least two new film trilogies, a revamped approach to TV, the imminent introduction of Disney’s own streaming service, more video game offerings, and even a pair of theme parks — Celebration is a harbinger of things to come for a franchise still going through major evolutions. Ahead, we scope out five big ways that this year’s Celebration will impact the “Star Wars” franchise and its dedicated fanbase alike. While the Star Wars universe continues to expand into other avenues, for now the films remain the focal point. With one more Skywalker-centric tale left to be told, a Friday morning panel dedicated to all things “Episode IX” featuring director J.J. Abrams and Lucasfilm president Kathleen Kennedy (plus “surprises and special guests”) will likely roll out some major announcements. Top of the heap: What exactly is this film called? Recent “Star Wars” films have announced their titles in far less splashy ways (read: press release), but that Disney and Lucasfilm have held out for this long signals that they’re ready to unveil the title with a maximum of fanfare. With that out of the way, Abrams and Kennedy (and said special guests) will likely show off some footage for the December release — it’s high time for a first trailer, presumably one that will be available ASAP online — and chat with the film’s stars about closing out the Skywalker Saga after nine films. Expect stars (and Celebration regulars) like Daisy Ridley, John Boyega, Oscar Isaac, and Mark Hamill to be on hand. That’s reflected in the Celebration schedule. While previous events rolled out a “Future Filmmakers” panel to introduce fans to filmmakers — one-time “Solo” filmmakers Phil Lord and Chris Miller appeared on the panel in London in 2016 — and their upcoming projects, this year’s convention has no such offering. The only major film panel is the “Episode IX,” and with just one hour scheduled for that event (and clearly, lots to reveal about the film in question), no one should expect that Kennedy will close the panel out with a brief mention of another film, thanks for coming, goodbye! So, where are the new films? What are the new films? What are they even about? That’s a story for another event or, as Disney has recently done with some of their biggest announcements, perhaps one for another impeccably timed press release. Television fans will have plenty to dig into, inducing a Sunday morning panel all about Jon Favreau and Dave Filoni’s upcoming Disney+ series “The Mandalorian.” While the panel’s official synopsis makes no mention of “special guests,” Celebration loves to bring out the big guns, so stars (including Pedro Pascal, Gina Carano, Werner Herzog, Nick Nolte, Giancarlo Esposito, Emily Swallow, Carl Weathers, and Omid Abtahi) will likely pop up to tout first-look footage. And though Disney has yet to announce the series’ official release date — or the official launch date of the streaming surface itself, beyond “late 2019” — perhaps this panel will also include more information on that. Another Disney+ series getting a Sunday panel: the relaunch of Filoni’s “The Clone Wars,” which will also be released on the streaming service for 12 brand-new episodes. Filoni and friends will be on hand to “share a sneak peek of what’s to come” for the beloved animated series. On Monday, fellow animated series “Star Wars Resistance” will have its own panel, dedicated to reflecting on a “shocking” end to the first season and a look at what’s to come when the second season arrives this fall. 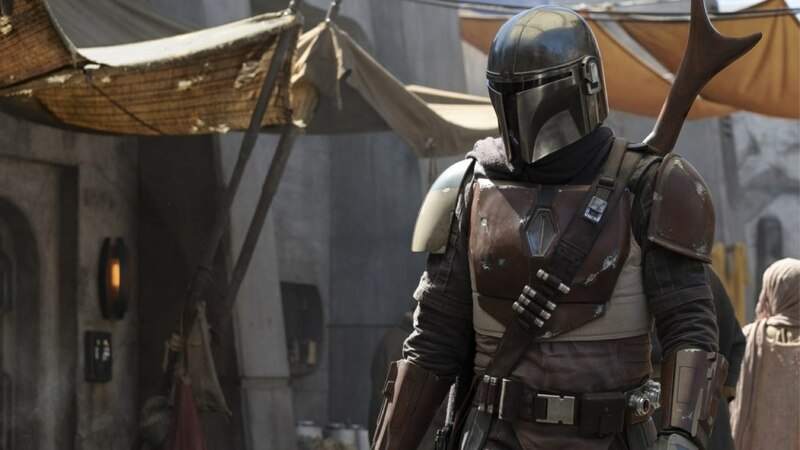 Though Disney has other TV shows planned for the future, including a Cassian Andor-centric live-action Disney+ series, don’t expect them to get much play at Celebration. One hint: a planned “Star Wars Rebels” reunion panel offers up a major warning in its own synopsis, telling fans, “Full disclosure — we are not announcing a new series in this panel.” For that panel, all attention will be tuned to celebrating the end of “Rebels,” which was announced at Celebration two years ago and finally closed out in March of last year. If you’re eager to get an idea of what Star Wars values right now, look no further than the panels that get top billing on the Celebration Stage in prime late-morning slots. On Friday, that’s “Episode IX.” On Sunday, it’s “The Mandalorian.” And on Saturday, it’s a 90-minute panel all about Disney’s pair of Star Wars theme parks: the under-construction Galaxy’s Edge additions to both Disney World and Disneyland. Both locations are set to open in the coming weeks, with the Disneyland version opening May 31, followed by Disney’s Hollywood Studios on August 29. This panel is the longest one on the schedule, and hints at the franchise’s continued interest in expanding far beyond the confines of film and television. Similar attention will also be paid to the Saturday afternoon “galaxy-wide premiere” of the franchise’s next big video game: “Star Wars Jedi: Fallen Order,” a new action-adventure that picks up after the events of “Revenge of the Sith” and follows a young Jedi Padawan. Like the popular “Battlefront” series, it will offer in-canon gameplay that only further expands the Star Wars mythos into new realms. On Monday, the Celebration Stage will use its final morning slot to honor the 20th anniversary of “The Phantom Menace,” hosted by franchise favorite Warwick Davis and likely featuring a number of stars of the 1999 revival of the film series. The panel will likely be a feel-good, fun way to close out the event, but if it provides any news, look out for potential announcements that the prequels are finally hitting 4K. New “Star Wars” films like “Solo” and The Last Jedi” are available in the ultra-high-definition format, but the prequels, original sequels, and even “Force Awakens” and “Rogue One” are still waiting for an upgrade. This year’s Star Wars Celebration runs April 11 – 15 in Chicago, Illinois.